But after Cotten’s death from complications of Crohn’s, a disease of the bowels, on December 9, his family and colleagues realised that the strict security measures he had adopted to guard his cryptocurrency stash left them with no way to access the company’s coffers. The result? Nearly $200m worth of cryptocurrency has gone missing forever, as the complex string of passwords required to gain access were solely in his hands. An encrypted laptop became the nerve centre of the company’s exchange business and the company, and its many creditors and investors, are unable to gain access to his funds. It might sound like a one-off scenario, but this is not the first instance of someone’s death wiping out their cryptocurrency fortune. Digital currencies like Bitcoin and Ethereum are built on the blockchain, an online database that stores records of all transactions. They are designed to be extremely hard to hack into, existing on the internet or on encrypted hard drives known as “cold storage wallets”. In 2013, early Bitcoin advocate Matthew Moody died when a two-seater plane he was flying in crashed in Chico, Northern California. His father, Michael Moody, has since spent years trying to reclaim his Bitcoin fortune, with each digital coin worth thousands of pounds. But his digital wallets have been locked as the passwords to release them died with him. One of the earliest cryptocurrency wallets holds a veritable digital fortune. The wallet allegedly belonging to Bitcoin’s mysterious creator, Satoshi Nakamoto, who has not been heard of since 2011, holds around 1.1m Bitcoin. Today, these digital coins could be worth up to £3bn. But since nobody has access to Nakamoto’s private keys, they remain impossible to access. The death of Cotton has put a renewed spotlight on the question of inheritance of Bitcoin. If users die or lose their encryption keys for accessing their Bitcoin, how do they prevent the digital assets from being lost forever? There are many reasons to keep Bitcoin secure and hidden away on encrypted systems. With its soaring value last year, a few Bitcoins could be worth a small fortune when they hit $20,000 a piece in December 2017. It has proved to be a real risk. In December 2017, an executive at UK-based Bitcoin exchange Exmo was kidnapped in Kiev and only released after paying a $1m ransom in cryptocurrency. A multisignature key means that several different portions of the private key which guards the cryptocurrency must be assembled in order to reveal the final code to release the currency. A single key is useless, but the presence of every one, or the majority of keys, could unlock the digital wallet. Other options available to cryptocurrency pioneers include a “dead man’s switch” system which requires the customer to regularly check in to prove they’re still alive. If they stop triggering the system, then their virtual assets are transferred to colleagues or their family. Of course, some might use the very nature of cryptocurrencies – that they are anonymous and hard to trace – to keep them out of sight from the taxman. Iqbal Gandham, the UK managing director of trading platform eToro, which offers a cryptocurrency product, said that the problem of transferring assets after death isn’t just a problem found in cryptocurrency pioneers. 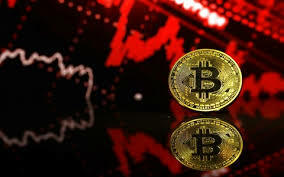 But if Bitcoin investors don’t pass on details of their holdings to their lawyers, then their businesses can be left with a situation like Quadriga, which is still reeling from Cotten’s death.